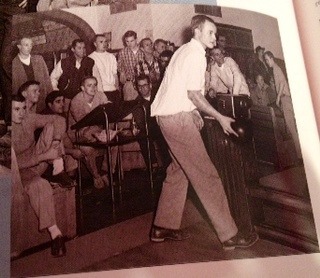 In 1962 the commons (‘Caf’) opened with a bowling alley downstairs. Then in 1975 for a couple of years a pub replaced the bowling alley. Can you imagine that the mailroom used to be a bowling alley and a pub? The pub was closed when the drinking age became 21.